43-Year-Old Arrested For Lying About Her Age. Now just because “The Curious Case of Benjamin Button” is a movie doesn’t mean that it happens in real life. Someone probably should have told that to 43-year-old Jennifer Crosby who allegedly tried to say that she had a rapid aging disorder so that she could pass herself off as her daughter. 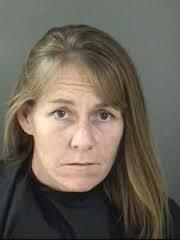 The Florida woman was pulled over on Saturday for inoperable tail lights and when asked for her license, she said that she had forgotten it. Crosby gave the officer her daughters name and date of birth. When the officer heard the 1992 birth-date he was clearly skeptical. Seeing this, Crosby told the officer that she “has a medical condition that makes her age faster.” Clearly not believing her, the officer looked up the name that Crosby had given him and when he found out that it wasn’t her, the jig was up. Crosby then admitted to giving the officer her own daughter’s name and birthday because her license had been suspended. 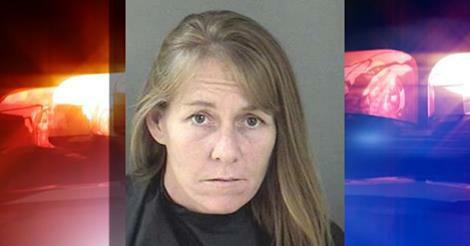 She was then arrested on charges of providing a false name and driving with a suspended license. (VIDEO)Check Out The World’s Smallest Apartment! Family Frees Pregnant Teen From Coffin After They Discover She Was Buried Alive!